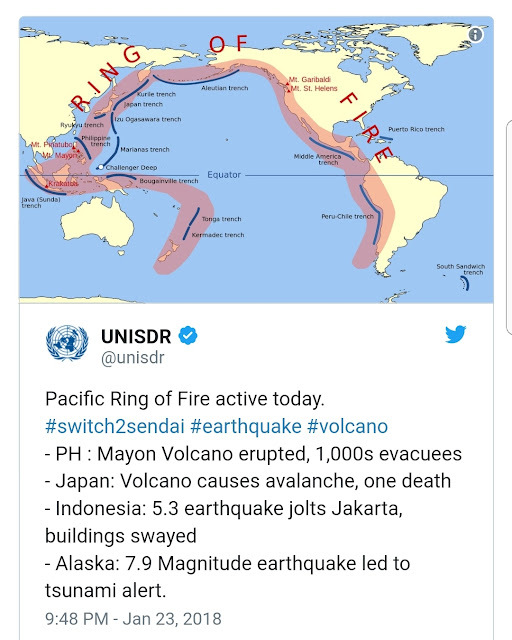 As twitted by United Nations International Strategies for Disaster Reduction, the Ring of Fire is active following the eruption of several volcanoes today across Asia. Where are the areas affected? Why are most of the volcanoes found along the Ring of Fire? 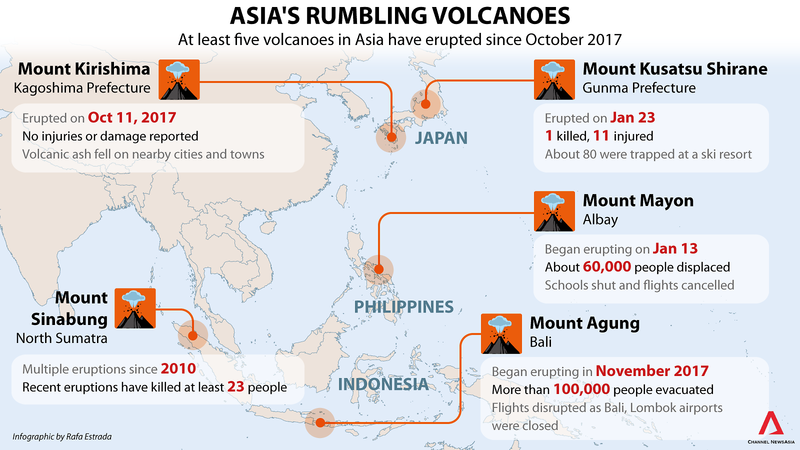 What are the risks associated with volcanic eruptions and earthquakes? How can the risks from tectonic hazards be reduced? 0 Response to "Volcanoes erupt across Asia"